What if Darth Vader took an active role in raising his son? What if "Luke, I am your father" was just a stern admonishment from an annoyed dad? In this hilarious and sweet comic reimagining, Darth Vader is a dad like any other—except with all the baggage of being the Dark Lord of the Sith. 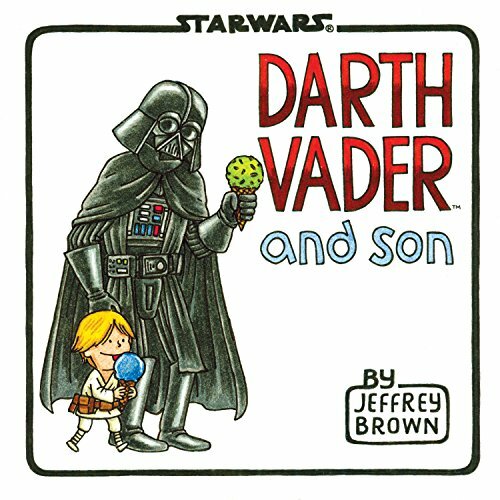 Celebrated artist Jeffrey Brown's delightful illustrations give classic Star Wars® moments a fresh twist, presenting the trials and joys of parenting through the lens of a galaxy far, far away. Life lessons include lightsaber batting practice, using the Force to raid the cookie jar, Take Your Child to Work Day on the Death Star ("Er, he looks just like you, Lord Vader! "), and the special bond shared between any father and son.